Went to the newly opened Forum Mall in Mangalore recently. 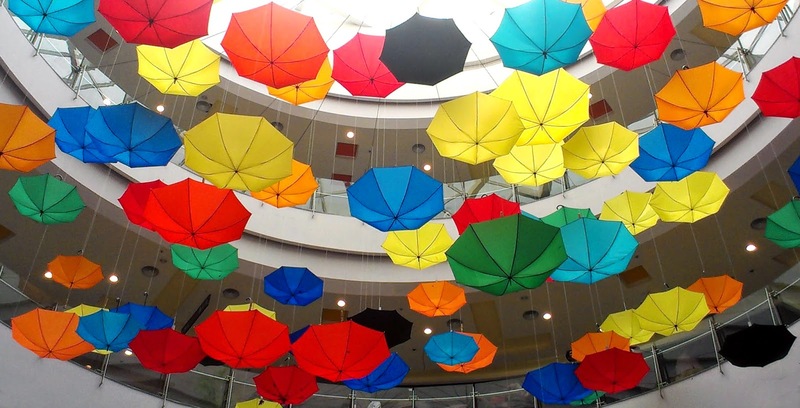 Saw this interesting installation in the central atrium made up of hanging colourful umbrellas. Found it pretty interesting.